Made of 100% wool, entirely firmed so it keeps the shape perfectly. 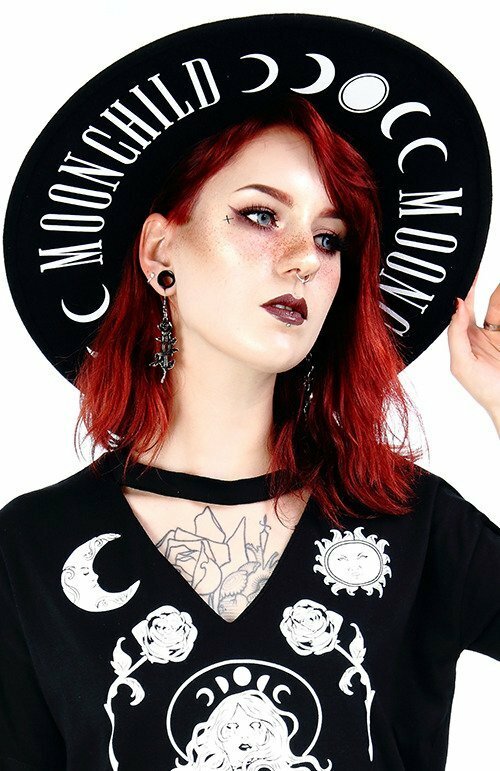 Brim is entirely covered with Moon Child and Moon Phases print. 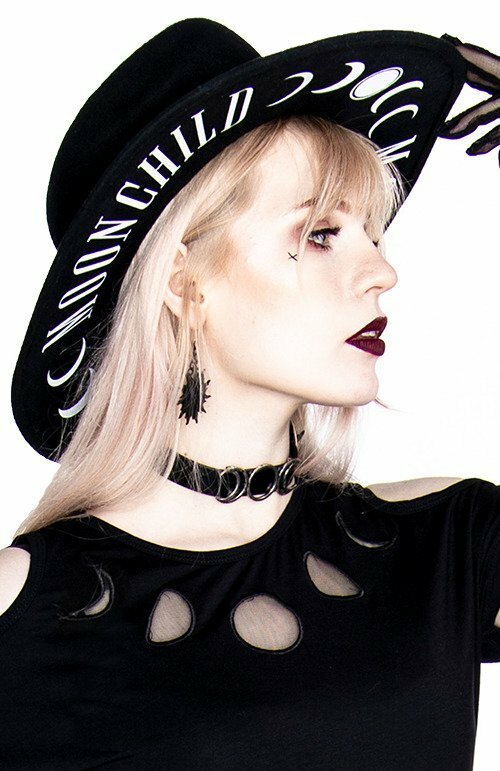 This hat will transorm any outfit to a witchy and edgy look. 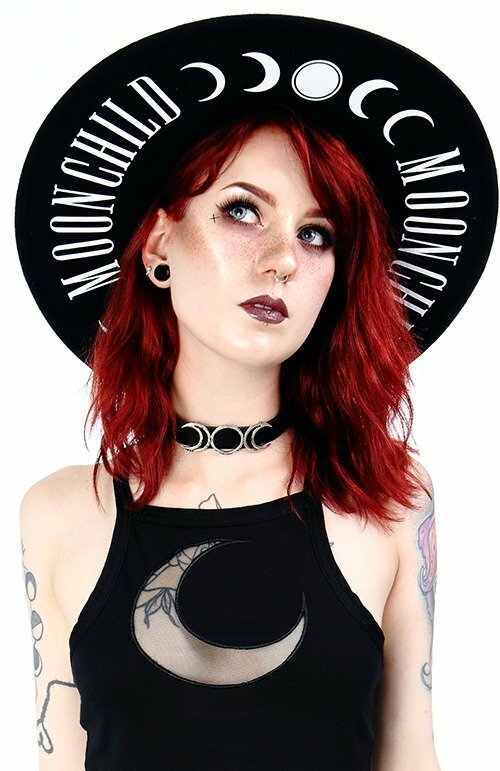 It would be great accessory for any outfit containing moon prints like mesh top. You can also combined it with our Moon Child bag. 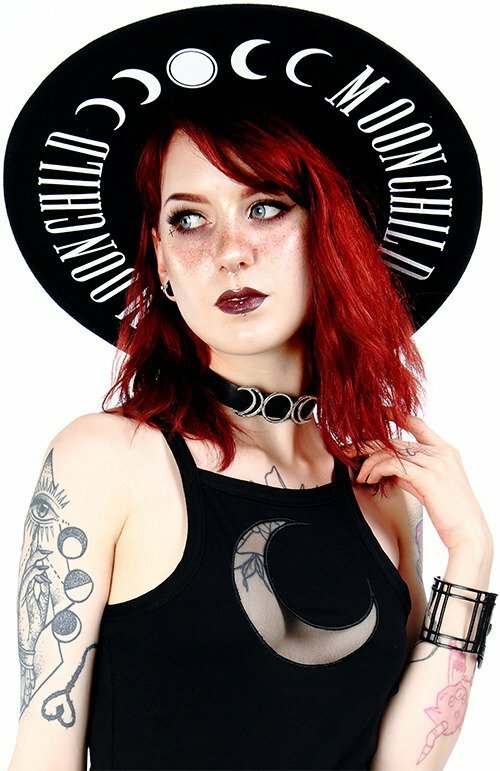 Ok my witches, let’s talk about this hat. It is marvelous! It’s made from a reasonably thick wool and fits perfectly around me big head. The white designs have a slight gloss to them so you can see the moons and writing perfectly from afar. It matches anything black and white in my closet and it’s unique enough to wear with just all black clothes. 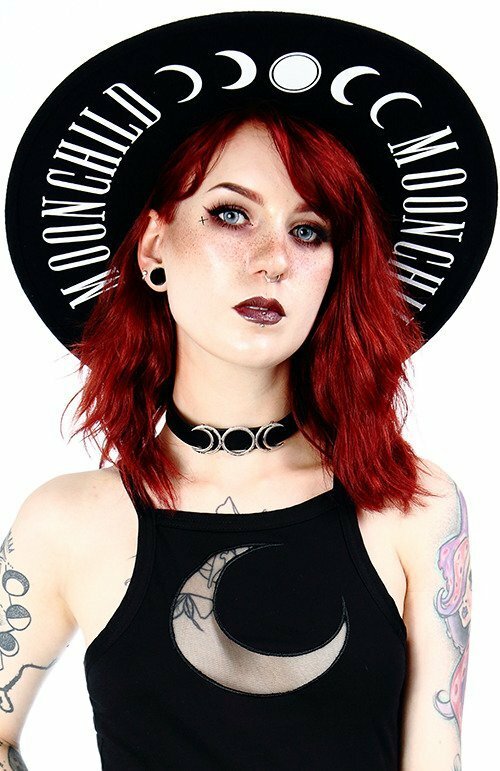 If moons are your thing and you’re a moon child like me, this is the hat you need!! !